Sepang was the future once, you know. 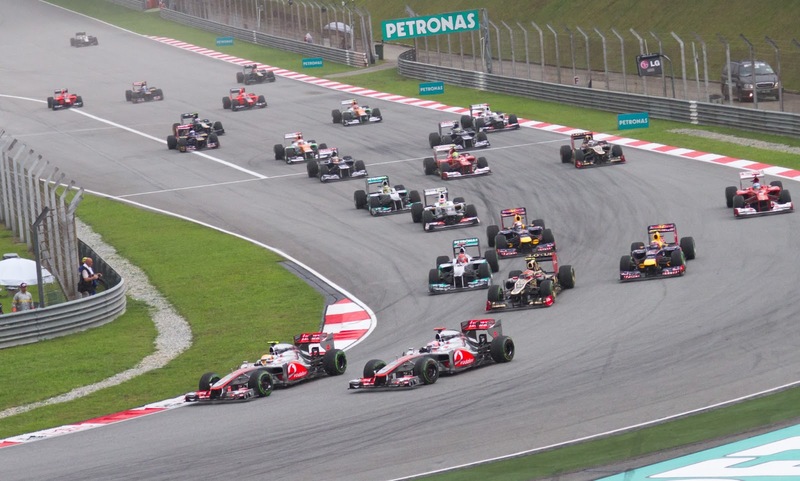 And, unlikely though it sounds, if anyone was ever to write a definitive history of the F1 venue then the Sepang International Circuit, host of the Malaysian Grand Prix for the 14th time this weekend, will have to play a major part in the story. Yes, really. This is because it was the very first of the purpose-built, no expense spared, constructed from nothing, Hermann Tilke-designed facilities that so dominate the calendar these days. And when it landed on the sport's landscape in 1999 everyone could sense the forward stride in standards from what had gone before; Bernie not for nothing, called it 'the best circuit in the world'. Its template has been used repeatedly in just about every new venue on the F1 itinerary since. Much of this Tilke blueprint, so familiar now, is there at Sepang: impressive and decorative grandstand and paddock architecture, long straights book-ended by tight corners designed to provide conspicuous overtaking opportunities, and a fast esses section. And as the Tilke-dromes go its layout is one of the best, arguably only usurped by the Austin track that arrived last year. The Sepang circuit is flowing and challenging, with a wide variety of fast, medium and slow corners. 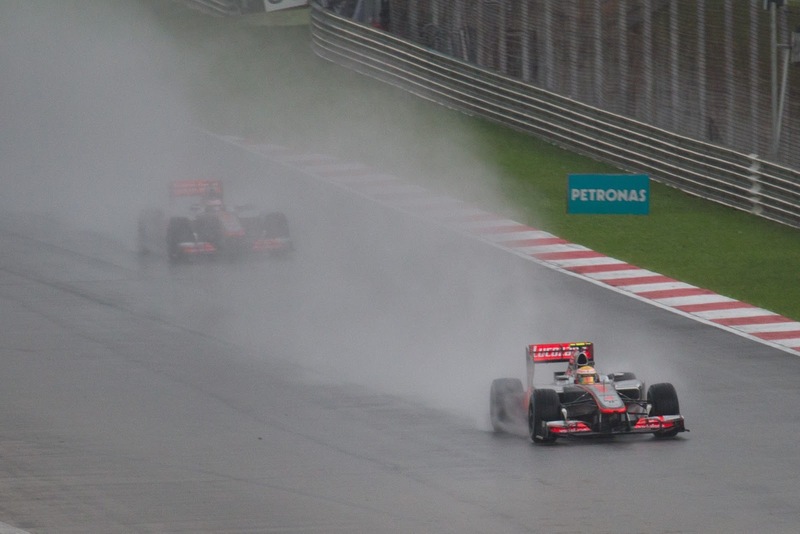 A further factor that has become synonymous with races in Malaysia is the flash tropical rain storm - and occasionally a prolonged one - which has a tendency to break in on proceedings at a moment's notice and ruin many-a-weekend (and storms are forecast for this weekend too). And its distinctive sharp right and left which start the lap can shuffle the grid order on lap one as well as be the scene of much grief. All of these have added up to there being an ample number of diverting F1 races around the Sepang track down the years. But there are flipsides. One is the circuit is also synonymous with extreme oppressive humidity, which gets seriously to everyone present. More importantly among the venue's downsides, and as at a few of the 'new' venues of recent times, the locals don't appear altogether interested in turning up to watch (despite there being capacity for 130,000 of them). Indeed, it's one of those F1 meetings that seems invariably rather eerie and otherworldly, almost like it is taking place in an abandoned city from a dystopian future (though Sepang has nothing on Yeongnam on this one). The lack of crowds perhaps isn't surprising, the ticket prices are way beyond most Malaysians, the heat is unpleasant as mentioned and the country's motorsports roots aren't all that deep-set (though prior to the Grand Prix coming along a number of events took place at the Shah Alam circuit elsewhere in the country including a World Sportscar Championship race in 1985 as well as several motorcycle Grands Prix) and F1 as a sport you always feel could be doing much more than it does to promote itself in such 'new' territories. But still the event lingers on. Someone there is content still to sign the cheques to make it happen, compensated presumably by the promotion that Malaysia as a country gets from the event. Round two of the season at Sepang has two overarching questions hanging tantalisingly over it, each created in round one at Melbourne. One is, can Red Bull bounce back? The RB9's apparently prodigious pace evaporated in the Australian race last Sunday. Christian Horner was insistent that it was but a blip, brought about by peculiar low track temperatures as well as Pirelli's adventurous tyre compound selection, and but a week on Red Bull couldn't have asked for a better and more timely opportunity to make up for Melbourne's disappointment. Indeed, Sepang seems everything that Melbourne isn't: the corners are long rather than short, the track temperature is the highest one likely to be encountered all year, the tyre compounds are medium and hard rather than medium and supersoft. But of course with all this opportunity comes risk, namely that if the Bulls struggle again in the Malaysian race then they've really got problems. Sebastian Vettel will probably take pole position, because the RB9 is strong in those circumstances and in any case that's what Seb does. But what happens on the Sunday has the potential to send his early season off in one of two directions. 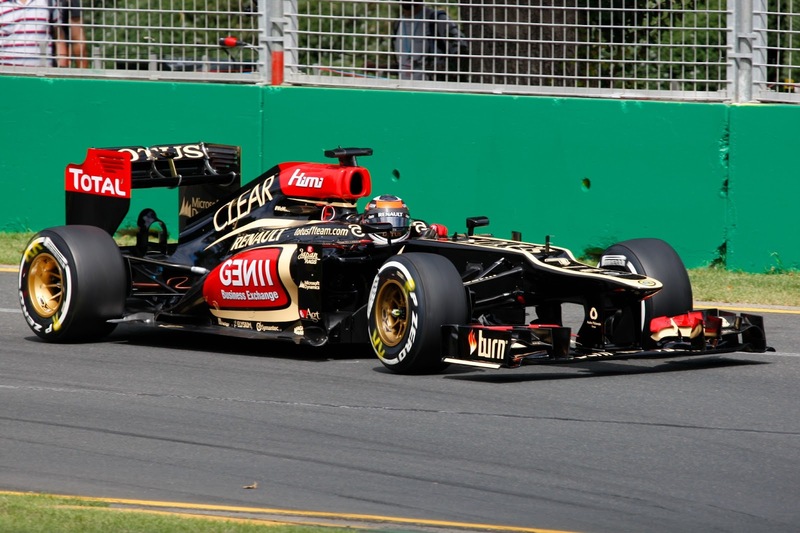 And the other main question to be resolved in Malaysia is can Kimi Raikkonen and Lotus make it two wins out of two? 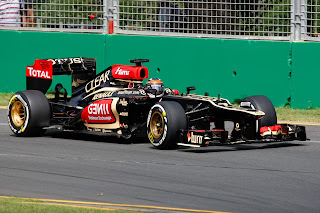 On the face of it, Sepang should chime with the Lotus strengths even more sweetly than Melbourne did. The E21 is fine-handling and will likely master Sepang's variety of flowing turns, and if tyre wear is its trump card then possibly no other round (with its towering track temperatures, long corners and abrasive surface) gives the rubber more of a workout. Can Kimi Raikkonen make it two from two? Kimi probably won't be on the pole (after all, in Melbourne he was some 1.3 seconds shy of Seb's qualifying best), but the extent that he can climb from his grid slot will likely be a central feature on Sunday. And overtaking, in theory, is easier around Sepang than around Melbourne. But in spite of everything qualifying remains important (only four races in 2012 where won from off the front row, as have only four of the 14 Sepang races) and things did rather fall into place for Kimi as he rose from seventh on the grid to triumph last Sunday. What if any obstacles will he face in hunting down the lead in Malaysia? Will he again be able to stop one time fewer than his rivals? Ferrari was right in the mix too in Melbourne, and one can usually rely on Fernando Alonso to finish on the podium to save your life. Further, Alonso has good memories of racing around Sepang having won there three times as well as claiming his first pole and podium at this circuit ten years ago. But the evidence of testing was that the F138 may have oversteering characteristics, which may not serve it well through Sepang's long and fast corners. Therefore a podium finish, but not on the top step, may be most likely. Don't count out Felipe Massa either, who last weekend showed every sign of running in close company of his team mate this year, thus continuing his strong form of late 2012. Mercedes should be somewhere in that vicinity too, though Melbourne's evidence is that its car is better on a Saturday than on a Sunday, though it wasn't helped by aiming for a two-stopper on race day only to have to abandon the idea. It seems apparent that the Mercedes has improved a great deal on its predecessor on show in the latter part of last year; exactly how much is still a point of contention and this weekend we'll get more of a steer. And of course rain is a frequent player in Malaysian races, as mentioned, and when the rain fell in Melbourne last weekend Nico Rosberg was mighty, routinely lapping well under the times of all others. And his record at Sepang is good, in qualifying at least. Is Nico therefore one to watch? As for McLaren, all in the team will be hoping that Melbourne's track characteristics exposed the worst of its car's conspicuous vices. But even if this is the case, the MP4-28 in its current state is unlikely to be fighting for more than the small points. But, for all we talk of Melbourne being unusual it is difficult to cite examples of cars going badly there suddenly getting their salvation at the following round. And come Sunday evening when all of the 2013 machines will have faced two very different challenges in two weekends there will be few places for the teams to hide. The tide will have gone out, and we'll find out who's been swimming naked. Not for the first time, Sepang will provide a significant signpost for the future. Enjoyed your review graham. It looks like being a great race and with so many drivers capable of winning and cars still being refined; I am really looking forward to watching it. Glad my Dad got SkyF1 switched on.